With Monetbil, you accept payments by mobile phone and bill your customers directly through their Airtime or their Mobile Money account. Monetbil uses an advanced security system for encryption to provide completely secure transactions. 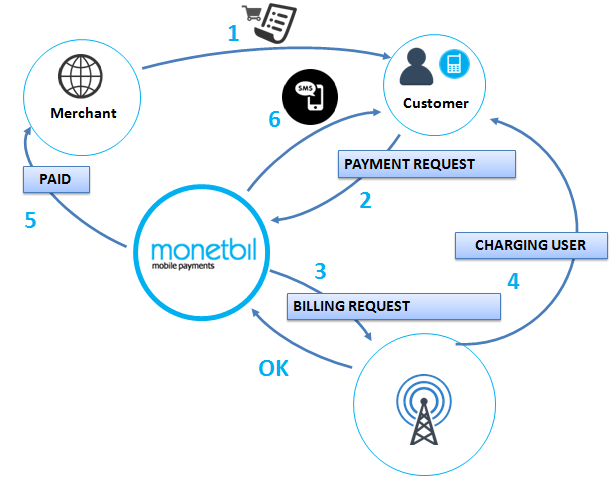 Monetbil sends a payment confirmation via SMS / email to the customer. Access to millions of mobile users through direct operator billing. Simple and easy to integrate API gives you the opportunity to monetize your goods and services through the mobile operator networks. Payment process in one click for digital goods and services using mobile Internet. Without need to register or enter the details of your credit card, it is among the safest means of payment. We are at your service around the clock via email, Skype and telephone. Don't wait to accept mobile payments.